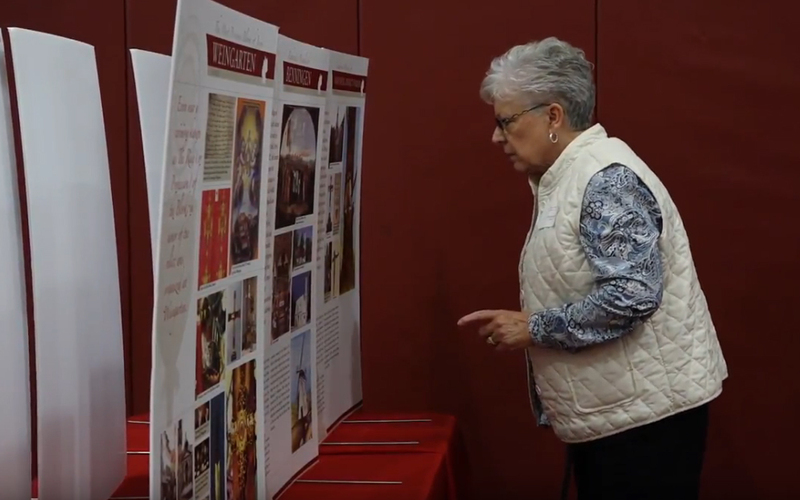 “Full of Grace” is the theme of the sixth-annual Rochester Catholic Women’s Conference, which will take place March 9 at Aquinas Institute, 1127 Dewey Ave.. Rochester. Karlo Broussard of Catholic Answers and Dominican Sister Anne Catherine Burleigh will be the featured speakers at this year’s event. As a full-time apologist and speaker for Catholic Answers, southern Louisiana native Broussard travels the country giving talks on topics ranging from Mary, purgatory and the pope to atheism, life after death and the divinity of Jesus. A Cincinnati native, Sister Burleigh has taught in Catholic elementary and high schools in Tennessee and Alabama, served as principal at Catholic schools in Tennessee and Maryland and currently serves as Vicaress General of the General Council of the Dominican Sisters of St. Cecilia. The March 9 conference will run from 8 a.m. until 3:30 p.m. and will include two talks from Broussard and one from Sister Burleigh, Mass with Bishop Salvatore R. Matano as well as adoration, Benediction and a Eucharistic procession to the Aquinas chapel. Sister Burleigh will pray the rosary with participants, and priests will be available to celebrate the sacrament of reconciliation. Conference participants also will receive lunch and have access to a variety of Catholic vendors. Those wishing to register by mail may do so for $50 per person, and registration forms must be postmarked by Feb. 22. Those wishing to register online may do so for $53 per person. The deadline for online registrations is March 1. For more information or to register, visit rochestercwc.org.